Three Styles and Three lengths to choose from to fit your needs, Garden Benches. 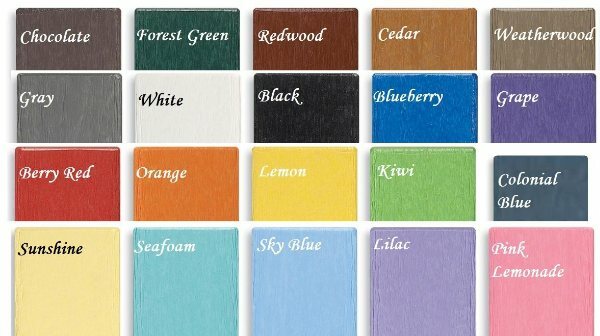 20 colors to choose from or mix and match one color for the frame and one color for the slats. Complimentary table and chair combinaitions are endless. School colors, sports colors or personal favorites! All Breezesta Furniture has a Residential Lifetime Warranty against cracking, splintering, chipping, peeling, rotting and insect infestation.